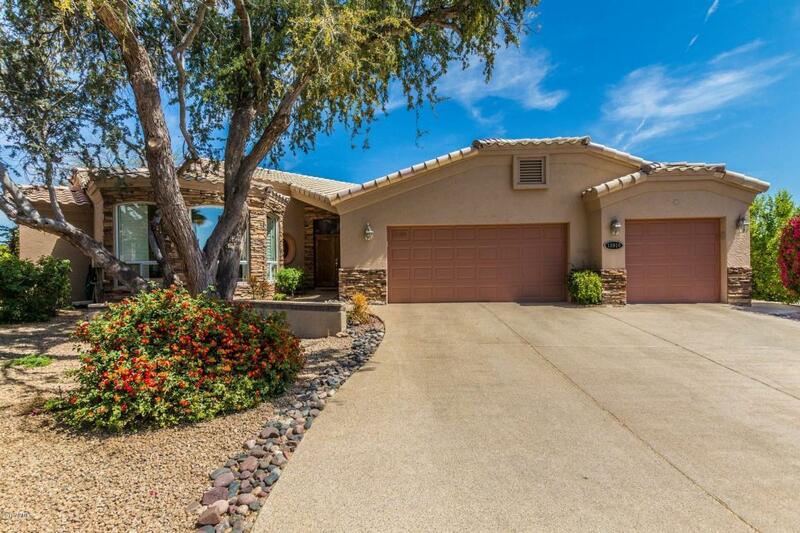 Wonderful up-dated home in the beautiful golf community of Rio Verde.This is what every new buyer wants...well-kept neighborhood,and friendly people!! Open floor plan with soaring ceilings and neutral tile. Great room has cozy fireplace and panoramic windows. Kitchen is complete with custom cabinets, granite counters, breakfast bar, and stainless steel appliances. Master suite has wood like flooring, ceiling fan, and private exit to backyard. Full spa bathroom with separate soaking tub + shower and his + her vanities and spacious walk in closet. Resort style backyard features a covered patio with desert landscaping, sparkling pool, endless mountain views, and plenty of room for entertaining...come look-you won't be disappointed ! Listing courtesy of The Real Estate Brokers.